Travel is becoming more of a necessity than a luxury, especially for many millennials. 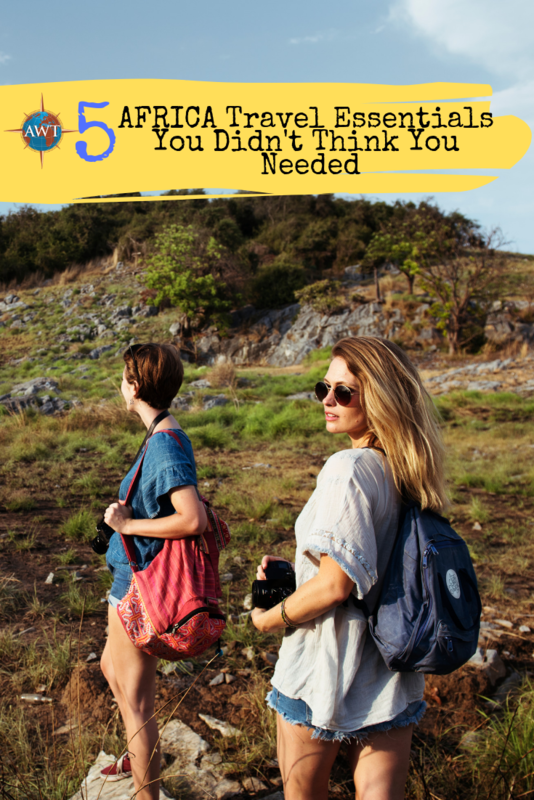 This is why it’s very easy to find hundreds, if not thousands, of blog posts and recommendations on what to pack when travelling to certain countries or cities. 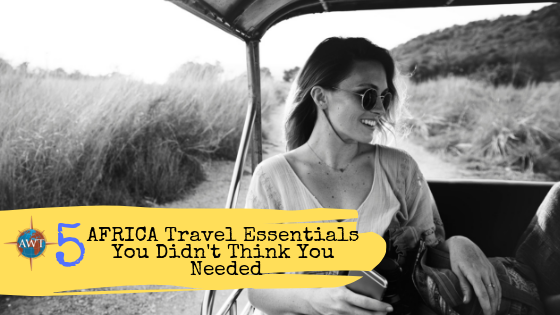 For this blog post, we thought of changing it up a bit by talking about five things that you may not already know you needed if you are travelling to Africa. If you’re an adventure junkie, this may be something you already have in your pack. 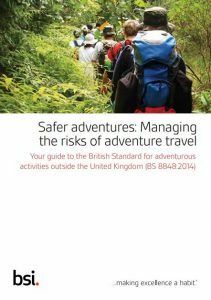 But if you’re more of an urban traveller, you might not realise the convenience of having your own first aid kit with you, especially in the outdoors. Of course, tour operators such as Africa Wild Trails have a first aid kit and qualified first aiders with you every step of the way but we strongly recommend that if you’re planning on hiking, trekking and paddling during your venture, having your own trusty first aid stash will prove to be useful. You don’t have to go overboard and pack a huge kit that could rival emergency responders. Just having a small, clearly marked bag or box with items such as plasters, gauze, antiseptic wipes, insect repellent, hand sanitizer etc. While it’s true that you’re travelling to Africa to go on an ultimate venture in nature, there may well be periods of downtime on the minibus when travelling from camp to camp or in camp in-between activities, and these are period you may wish to relax and delve into a good book. Internet coverage will not always be readily available so it’s not possible to go on YouTube or scroll through your Instagram feed. A tablet is also an excellent piece of kit to have for research during your African venture. 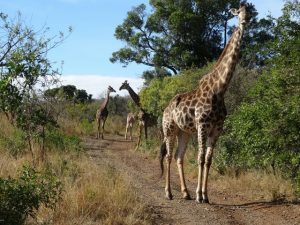 There are many Apps to download at home and use abroad on African fauna and flora as well as the varying cultures, translation Apps and the history of the region you are travelling to, which can only serve to enhance your overall experience! Most people usually pack one extra battery for their digital devices and one power bank during their travels. When travelling to Africa, it’s recommended that you pack more. There may be instances where there’s no electricity or there’s only one electrical source so you may not be able to charge your devices and other tech. Having backup power will really be useful especially if you’re into photography. This is a multi-tasking essential that you can use to clean up in-between showers, sanitise your hands before meals, or as an alternative to toilet paper when out hiking. As with every item you buy, ensure you gain knowledge on the product such as purchasing 100% biodegradable wet wipes. You’ve probably seen one being worn by a variety of people but may not have owned one yourself. As the name implies, head torches are small light bulbs attached on a strap and worn on the head. This device is extra useful because being in nature means limited light source and at night. Wearing a head torch frees up your hands and will always point in the direction you need it most; where you are looking! You’ll be surprised that head touches are actually pretty affordable. If you only take one torch on your venture, make sure it’s a head torch!